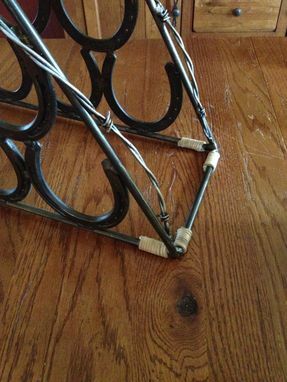 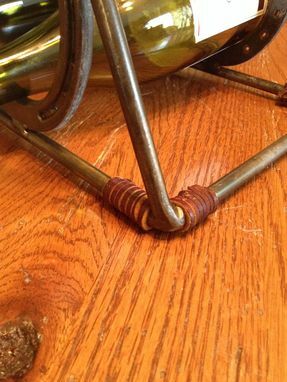 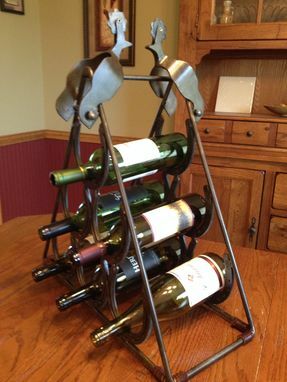 The "Base" wine rack includes using horseshoes as the main body to hold 6 wine bottles encased in 3/8" diameter steel rod with leather wrapped furniture protectors. 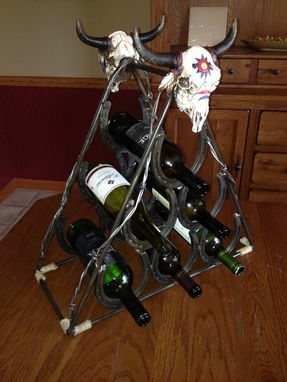 You can then add your choice of 1 topper on front and/or back in any of the 3 different styles; Cast-iron Star, Resin Steer Skull or Custom made steel Spurs). 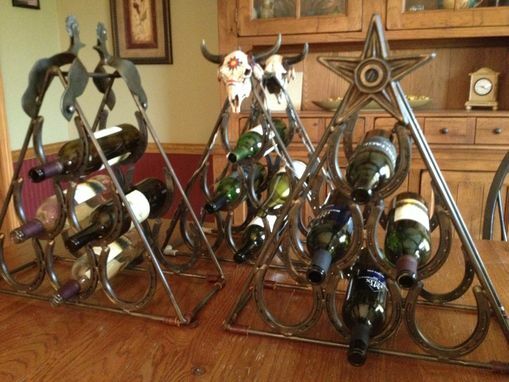 You may also select your wine rack to have custom Barbed-wire added. 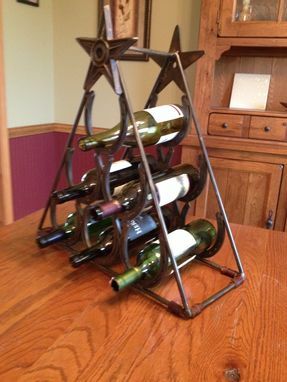 These wine racks are a real statement piece with just the right amount of distress and bronze rubbed patina.